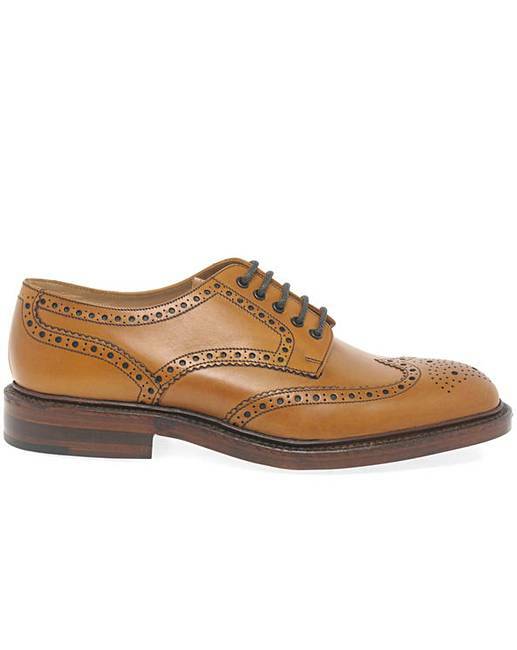 From the Loake Premium collection the Loake Chester brogue is a welted country shoe with luxurious hand-burnished calf leather uppers. Durable enough for the great outdoors yet smart enough to be dressed up for more formal occasions the Chester features a traditional leather linings insoles and leather-built heels. Crafted using techniques that can be traced back to when Loake first started no detail is compromised. Loake’s Goodyear Welted soles mean this robust shoe can be repeatedly resoled. Lace fastening and available in a choice of three colours: black mahogany and tan the Loake Chester brogues are always a firm favourite.